Get the international business news, analysis, market data and company information you need to stay well-informed. FEATURES • Breaking news alerts, direct to your lock screen • Read anywhere, even when you’re offline • Follow topics that matter to you and save articles with myFT • View live news or choose this morning’s edition and enjoy a reading experience that’s as close to the paper as possible • See the latest comments on articles and share your opinions • Monitor your Markets Data portfolio and browse securities HOW TO ACCESS To gain full access to our award-winning content, please sign in using your Financial Times account. I’ve never gotten over not having an actual weekend FT delivered..
Where is the market data page? This is an excellent App and world class publication. Swiping function is lame. 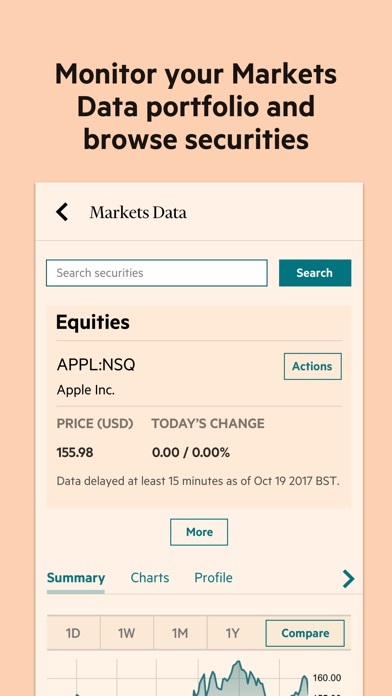 Should update to be similar to WSJ swiping format. Reporting is solid and stories are interesting. I read the FT every day Keep up the great work! 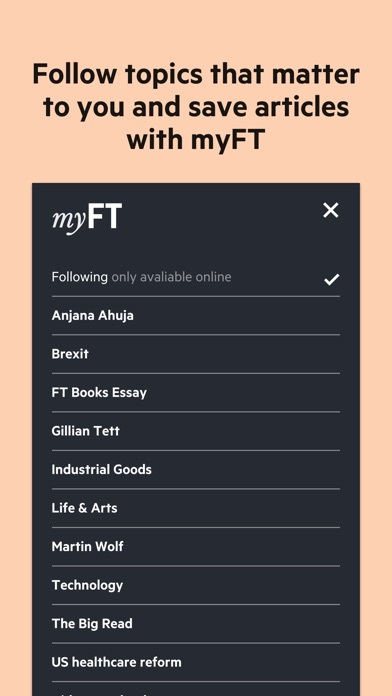 Unfortunately you can no longer read the FT app when offline, even if you have downloaded today’s editions. Frustrating when you’re on the London Underground. You could do this in the past but no longer. What’s up with these pop-up adds? I’m a subscriber! Update: developer informs me this is fixed. Would be 5 stars, but per other reviewers, it still feels like a port, compared to more obviously native apps like NYT. Ease-of-use suffers as a result. 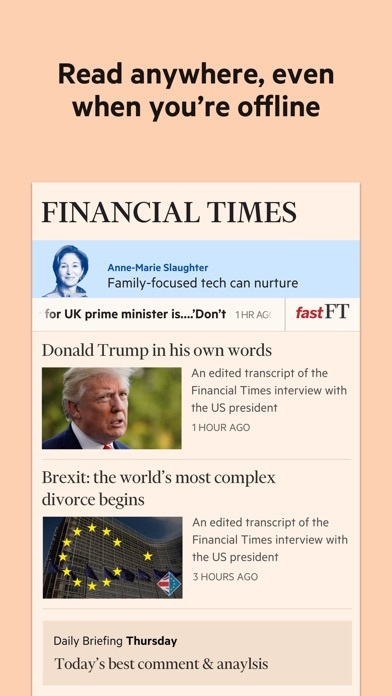 I love FT journalism and have been a subscriber for many years. 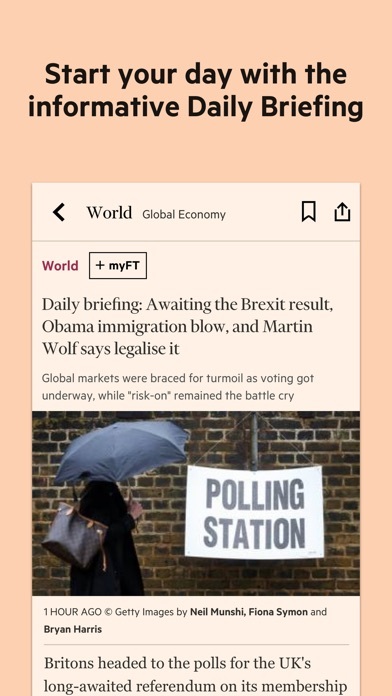 However, it seems that ever since the app redesign, full-screen video adverts pop up from their designated spaces in the articles and disrupts the reading experience. This is an obnoxious design flaw and extremely user-hostile. One must also ask whether adverts are even necessary, considering the subscription price. The FT/Nikkei would do well to follow in other eminent publishers’ footsteps and remove adverts completely for paying subscribers. Please fix the obnoxious full-screen, auto-play video adverts. Note: this app does not work with any of Apple’s official iPad keyboards. You can’t press down to scroll down. Can’t press space to scroll to the next page. Can’t press shift-space to scroll up. 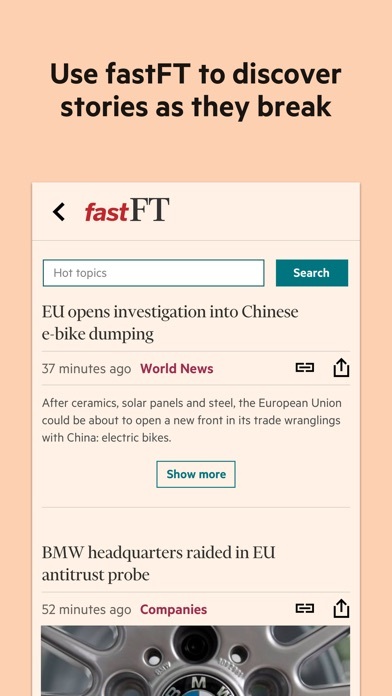 In this sense it is better to read the FT using a web browser on an iPad.